September 7, 2018 September 8, 2018 Molly G.
When Ellen is suddenly orphaned and dropped alone into a strange city under tight Nazi control, she struggles to survive from day to day. 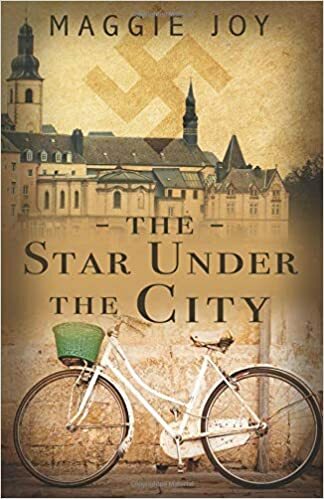 Her life takes an unexpected turn when she finds a mysterious, metal six-point star that is slightly different from the ‘Star of David’ all Jews are forced to wear. Not only does the star feel like a sign of hope, but it sets her on a mission to find out what it really means. As she begins to wonder if she’ll ever find answers, she meets Lenz, and her life is flung into a whirlwind of danger and hardship, new friends and new enemies, and opportunities to learn trust and true sacrifice. As she attempts to find her place in the conflict, she discovers she is a part of something so much bigger than she could ever imagine. I first found out about Maggie on Noble Novels, a young writers’ site I am a part of. I was very impressed with her writing; soon I found her blog. In 2016-17 she talked a lot about her novel that she’d written in NaNoWriMo, and that she was then editing. Then I read it in less than 24 hours. Let me tell you why. THIS BOOK IS INCREDIBLE!!! I mean, I loved it!!! The characters are real and relatable. The plot is excellent. The emotion is amazing. Tytus is so funny! Lenz and Willie just about tie for favorite character. Ellen is so relatable. I just want to sob along with her when *ahem* bad things happen! All that said, please read this book! Find your copy here. NOTE: I have done a review on The Star under the City before, but I decided to re-do it with the new system.